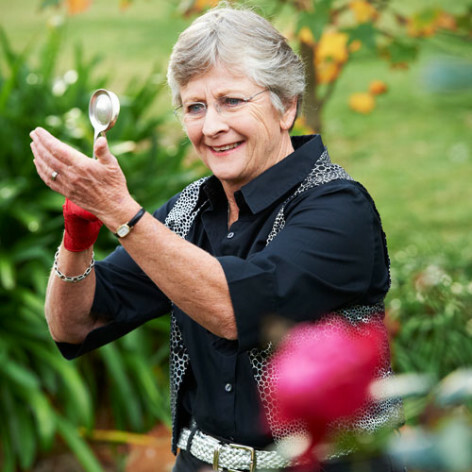 Known worldwide for her skilful, energetic and entertaining spoon playing with the ability to engage people of all ages. Deb is a World Champion, finalist on Australia’s Got Talent and also has her own viral Warner Music video clip. She lives in Augusta a beautiful seaside town near Cape Leeuwin in W.A.’s south west, enjoys drumming, being grandma and many outdoor pursuits.